Ngoc Lan - Voice of an Angel: What Is Kelvin Khoa Like? I'm sure a lot of people want to know what is Ngoc Lan's husband like. Well, all I can say is he is about the nicest guy you could possibly meet. I had a chance to work with Kelvin Khoa on my album, "Ngay Em Di". Here is an absolutely nice guy who loves his wife, and loved what he did for a living. He remastered among my songs, "Lemon Tree" and a song recorded by Ngoc Hue, "Pho Xa". He asked me to re-record a line on "Lemon Tree", telling me, "You did this song almost perfectly. Chi Lan and I really enjoy it, except for the last line." Now, how can I argue with someone like that? I had no idea who he was when Ngoc Hue had introduced me to him. 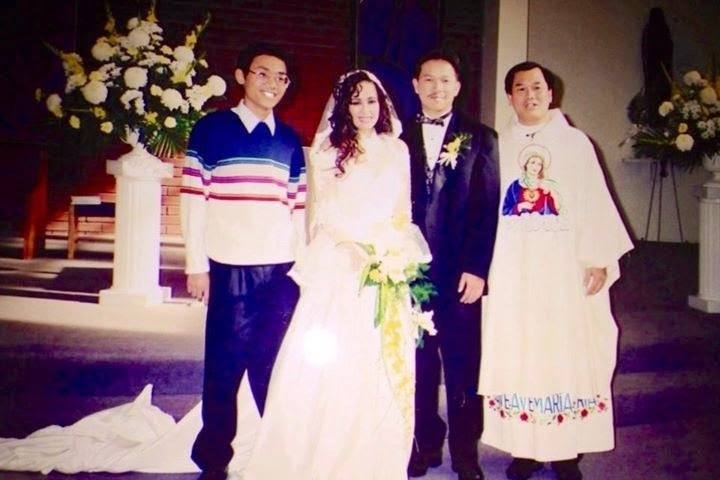 I didn't attend Ngoc Lan's wedding. Therefore, I didn't know who he was. Small world, isn't it? But when I found out who he was, I couldn't help but to ask him about Ngoc Lan. I wanted to know how she was doing and if she remembered me. And sure enough, his answer was yes, she did remember. And the fact that her favorite song out of all the songs I had recorded on the "Ngay Em Di" CD made it even more special. On the day of her funeral, I went up to him and gave him a hug. I said how much I loved Ngoc Lan. He looked at me and said, "I know, em. She loved you, too." Just the thought of that still brings me to tears.